Are you considering to making an addition to your garden and you cannot decide? 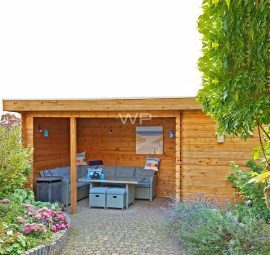 Why not decide on a wooden garden house? 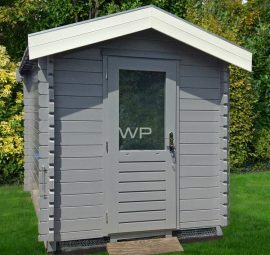 Woodpro offers plenty of garden houses which you can order easily. It is lovely to enjoy the warm weather in your garden. Although this sounds perfect, sometimes this can get too warm and you might want a separate indoor area to relax in. 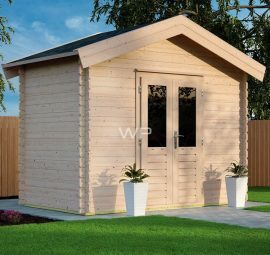 A wooden garden house is what you are looking for. 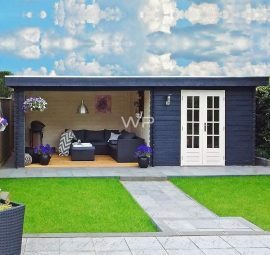 Whether it is a bit or small garden house, it gives you a place to relax inside while not being in your house. A wooden garden house gives you a real vacation feeling in your own garden. 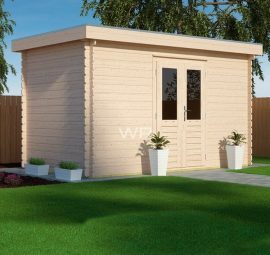 If you have a lot of belongings to store and you need some extra room a wooden garden house could be a perfect solution. It gives you plenty of extra space. It does not matter if you need a lot of storage space or only a little bit. A garden house is always a great solution if you are having problems with storage space. 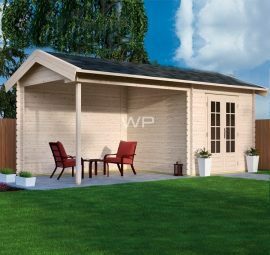 A wooden garden house looks stylish in your garden. 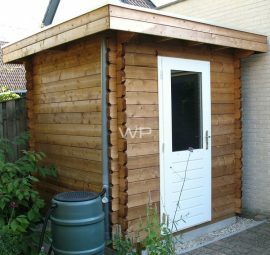 A wooden garden house with a side shed adds depth to both garden buildings, especially if they have different sizes. 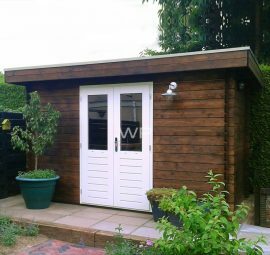 You can create the most interesting and creative shapes when you merge a wooden garden house with a shed. In this way, you can create a real eyecatcher for your garden. It is possible to make your family and friends jealous of envy with such a great garden building. If you need any ideas for the design, we are always happy to help our customers come up with the best designs. 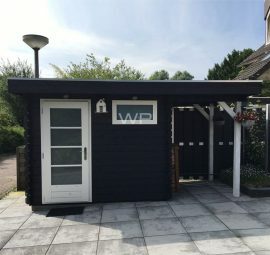 Are you looking for a small garden house? It is all possible at Woodpro. A garden house with a canopy is currently quite popular. The advantage of a garden house with canopy is that it has both an open space and a closed space. In the lockable room there is room for storing garden furniture, tools or your bike. The space under the roof can be used for different purposes. For example, you can create a lounge where you can dine together with friends and family. Woodpro offers many models with several different construction systems. 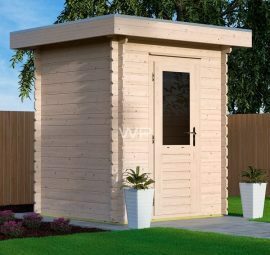 Therefore, you have many options to choose from for your garden summer house. There are also multiple garden summer houses available which have multiple rooms. This makes it possible to for example use one room as a lounge area and the other room for storage. You can change some aspects of these garden buildings to add a personal touch. 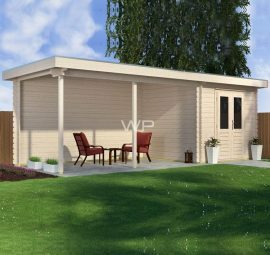 Would you like to create a garden summer house of your dreams yourself? Woodpro has the perfect tool to design your own house. Our unique 3D-configurator makes all of this possible. 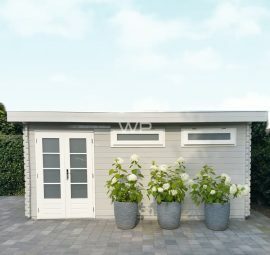 In this configurator you can design your own wooden garden house. This means you can choose the length and height of the walls, the type of roof, the types of windows and doors and even the colours of all the different parts. This makes your garden house truly your own and personal house. You can also add inner walls or a seperate attached building if you want to have a combination of a wooden garden house and a shed. When you are designing a building to place in your garden, the prices are calculated automatically. Therefore, you can always see the exact costs of the parts you have just changed, added or removed. There will be no surprise for you when you are placing an order through the configurator. 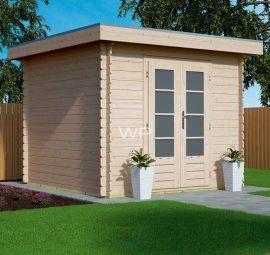 The Woodpro 3D-configurator gives you the exact wooden garden house you want for the exact price you are expecting. Are you looking for the perfect colour that matches the look of your garden? Colours influence the appearance. At Woodpro the garden houses are delivered untreated as standard. However, you can choose to have your garden house treated by us. We offer various treatment methods. Spray impregnation is suitable for all garden houses. With spray impregnation, the inside and outside is pre-treated with an impregnating agent. Because of this, your garden house is protected against possible decay processes. You can choose from four different transparent colours: white, graphite grey, oak brown and light grey or a colourless base layer. However, impregnation remains a pre-treatment. We recommend that you still stain the garden house within 1 year. Do you choose a transparent white colour? Then you have to stain your garden house within 6 months. 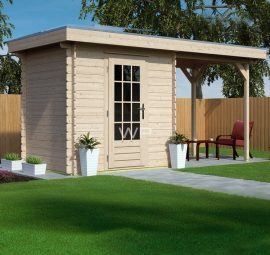 Have you decided on a wooden garden house that is the perfect building for you? 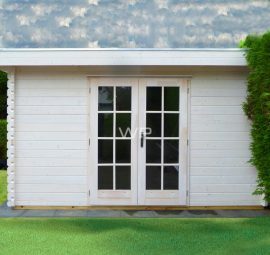 Woodpro offers the perfect garden house for you or you can design it yourself using our 3D-configurator. We sell our products through our dealer network. Would you like to know which dealer is located near you? You can use our dealer locator to find out. You will also find their contact details there. If you need any help with your design or if you want more information about installation or the prices, you can also contact us. 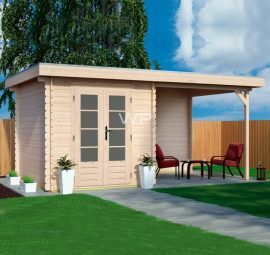 We are happy to help you realise your perfect wooden garden house in your garden. The same applies for our dealers, of course. 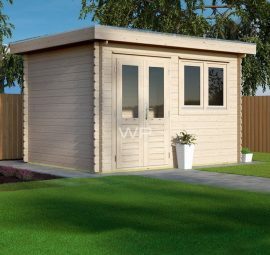 At Woodpro we only want to build garden houses of the highest quality. 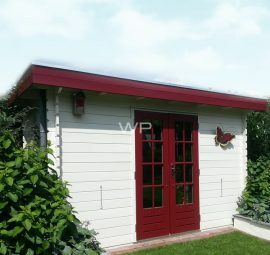 We have more than 40 years of experience with building wooden garden houses. We even produce all of the wooden constructions ourselves. This makes it possible to deliver top-quality garden houses that are perfectly tailored to your preferences.